There are few handguns more fun to shoot than a single-action .22 rimfire. Ruger has ruled the single-action rimfire market for decades with their excellent Single-Six lineup and today announced a new model in that series with a mandatory new name. 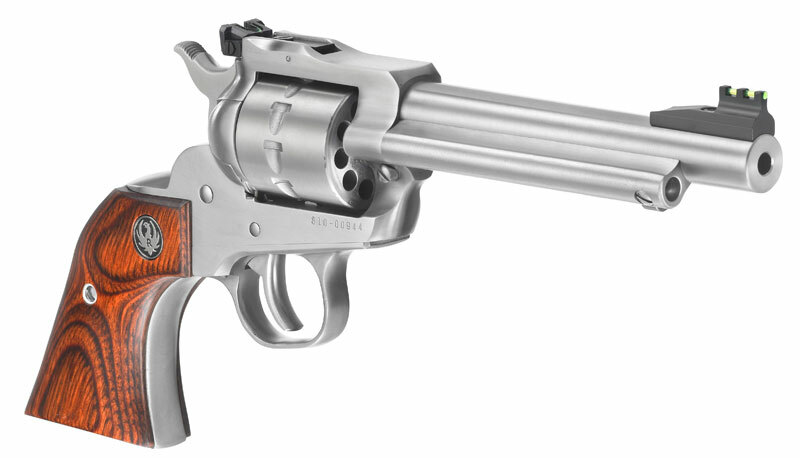 The Single-Ten, as you may have guessed, is the same reliable design as the Single-Six but with a 10-shot cylinder. The first models will be in stainless steel with a 5.5-inch barrel and will come with smooth walnut "Gunfighter" grips and Williams fiber optic sights. Other models are sure to follow.